Former Manchester United defender Rio Ferdinand lavished praise on Cristiano Ronaldo and called him a 'living football god' following the Portuguese's exploits in Juventus' Champions League victory against Atletico Madrid. 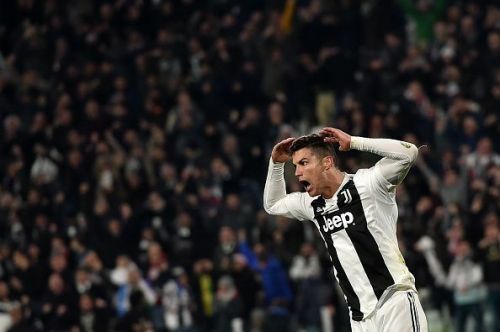 Ronaldo inspired Juventus to one of the most famous Champions League comebacks in the club’s history as they overturned Atletico Madrid’s two-goal advantage from the first leg by beating them 3-0 in the return leg of the tie. The 34-year-old opened the scoring for the Italians in the 27th minute of the game and added one more just four minutes after the half time break. The Portuguese then completed his hat-trick from the spot during the 86th minute of the game. In the process, Ronaldo also equaled Lionel Messi's record for the highest number of hat-tricks (eight) in Champions League history. Speaking on BT Sport (via Goal) after the game, Ferdinand showered praise on his ex-teammate. "He is a living football god, it is ridiculous what he is doing. "In the Champions League he has every record you could imagine. He's the joint-hat-trick man with Messi. "The first goal is like Duncan Ferguson in his prime, attacking the ball, leaving the full-back in a heap and saying: 'This is me'. That is called desire. "This is against an Atletico Madrid team which is known for having an unbelievable defence. "And they've gone and scored three goals and he's got a hat-trick." Juventus are unbeaten in the league this season and will be looking to extend that run when they play Genoa at the Stadio Luigi Ferraris on March 17. As for the Champions League, the draw for the quarter-final will take place on March 15.